Anti-Slip Pallet Paper Sheets - 40 X 48"
Anti-Slip Pallet Paper Sheets - 37 X 45"
Anti-slip pallet paper prevents slippage on pallets, preventing damage and injury. It can significantly help stabilize bags, cartons, boxes, or other items by preventing them from moving or slipping during transportation and handling. Anti-slip paper increases load stability, decreases damage, reduces stretch wrap costs, and keeps your products safe and secure. 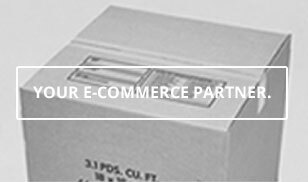 The Packaging Company has years of experience in selling high-quality, durable, and reliable shipping products. We’re serious about helping your business succeed and aim to provide the best, highest-quality products to our customers. We also care deeply about customer satisfaction and customer service. This means that not only do we sell reliable and durable products at affordable prices, but we also make it easy to communicate with us. If you have any questions about any of our products, or if you have a shipping or packaging issue that you’d like resolved, please contact us today. We will be more than happy to speak with you and help you out in any way we can. Using anti-slip paper on your shipments makes it easier and safer to ship products on pallets. They will arrive at their destination exactly how you shipped them, meaning they won’t be damaged in the process. You will also enhance your brand identity and image as your customers will see that you are serious about protecting shipments and keeping products safe. The last thing you want is for a shipment to arrive damaged, with items falling off the pallet. When you use anti-slip pallet paper to keep your shipments secure, you show your customers that you care. We sell a variety of different paper sheets, in different sizes and rolls, to make sure that our customers will be able to find the exact product they are looking for. You can trust the Packaging Company to get the job done.